Today I had the pleasure of talking with Kayla Williams. Kayla served as a Sergent in the United States Army. She was an Arabic Linguest for and intelligence company in the 101st Airborne Division. 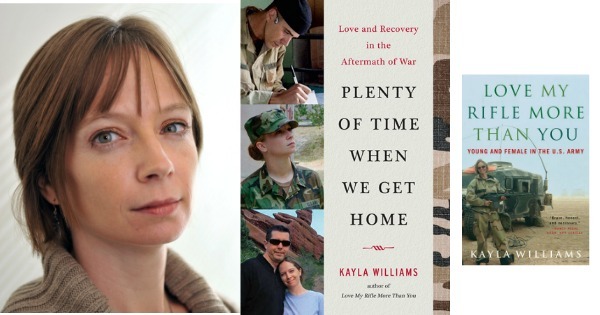 Kayla is the author of two books: Love My Rifle more than You: Young and Female in the U.S. Army and Plenty of Time when we get home: Love & Recovery in the aftermath of War. We get into a lot more detail about the books in the show and I will be honest they have an Amazing story and journey that has and will continue to inspire and help others. She still continues to serve by conducting Research and Analysis on National Security and Veteran issues today. Check out her books below when your done with the Show ! Click Here to Thank Kayla on Twitter ! Can you find true love on the Battle Field ?